Check out these great photos of Tomoko Kasuya showing her Flatland tricks. 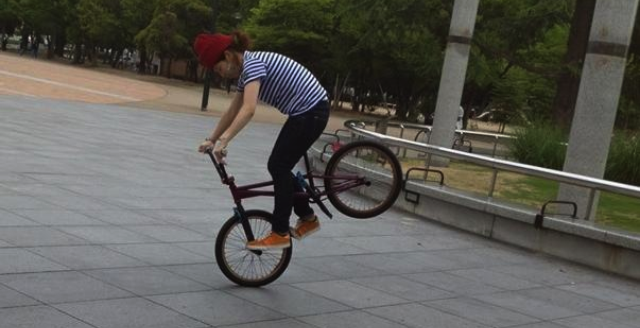 She is competing as an intermediate rider in our flatland progression contest from Japan. Get behind the girl riders you know pushing their riding and support their progress! Why BMX? My commuting bike was broken and I had to buy a new one. Then my friend recommended me a bike I can do some tricks with, which was a BMX bike. I ride BMX on the weekend usually. I ride at my own pace and ride when I feel like riding, just like my regular life I do everything at my own pace. 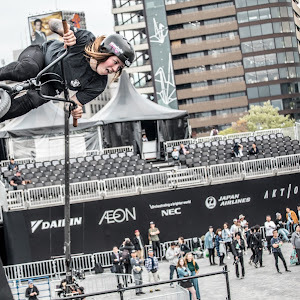 This year X Games invited four girls to ride the street course for a few hours during practice. Angie Marino, Perris Benegas and Nina Buitrago have a few clips in the video below from Ride BMX. 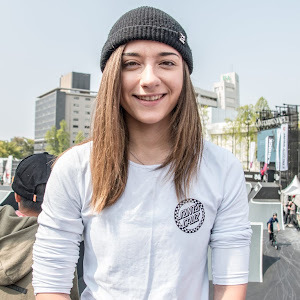 Although it was just practice, this still a big step for ladies in the BMX community. If you remember Redbull R.evolution from last year, you know how crazy the race track is. 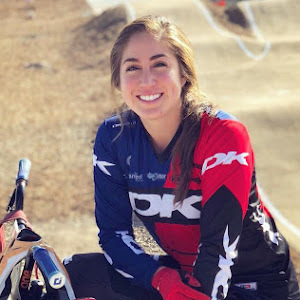 This year, the R.Evolution track is one of the stops on the UCI BMX Supercross tour, and our girl Amelia Walsh is already there in preparation! Check her out and the other elite ladies & gents June 13-14 in Mellowpark Berlin, Germany. Make sure you follow our Facebook page for when we post up the live link.